Since the early 1990s, DNA evidence has played a major role in cases around the nation, and the world, for that matter. The increasing dependency on this type of evidence to convict or exonerate defendants in the court of law has resulted in ground breaking changes to how this evidence is admitted, processed, and used in legal proceedings. In the absence of formal training in genetics, Legal Professionals face many challenges in having to understand and interpret this type of evidence. Furthermore, recent advancements in molecular genetics and DNA analysis platforms were met with a significant increase in instances of evidence re-examination and retrials. Based on this need and the relevant in-house expertise in the area of molecular genetics, the IACD developed a series of workshops on the use of DNA as a forensic tool specifically designed for training Legal Professionals. This training will provide career development and increased confidence to Legal Professionals, and consequently, will have a positive impact on our legal system as a whole. Our service comes at a critical time where DNA forensic technology is not only playing a major role in solving crimes and apprehending criminals, but also preserving people’s rights and giving them confidence in a system that has and will always be one of the most important cornerstones of our nation. The IACD’s DNA training workshops have been approved as Continuing Legal Education (CLE) credit by the North Carolina State Bar. 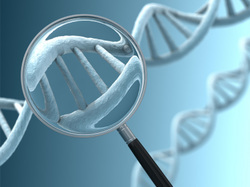 We also provide Law Professionals with custom training on forensic DNA technology and evidence interpretation. Please contact the ICAD for more details on how to sign up for and receive this training at an area near you. (Developed and Presented by Dr. Maher Noureddine, IACD Founder and President of ForensiGen LLC. 1) Workshop: The Use of DNA in Forensics: Principles, Advances and Limitations (4 hr CLE). This workshop was held on Feb11, 2011, at the Durham County Courthouse in North Carolina, and on April 29th at the New Hanover County Courthouse, Wilmington, NC. 2) Workshop: Advanced Topics in Forensic DNA Evidence: Lab Procedures, Results, and Interpretations (4 hr CLE). This workshop was held on Feb3, 2012, at the Durham County Courthouse in North Carolina. This workshop was organized in collaboration with IDS Forensic Resource Counsel and OCD Trial Resource Counsel and held on July 26-27 and August 23-24 in Chapel Hill, NC. Seminar: DNA Made Simple, Experienced Counsel Capital & Serious Felony Trial Training, Durham, NC, 1 March 2012. Seminar: The Use of DNA in Forensics: Principles, Advances and Limitations (Lab Reports and Data Interpretation), The Commission for Death Penalty Litigation, Durham, NC, 1 November 2011. Live Webinar: The Use of DNA in Forensics: Principles, Advances and Limitations, The North Carolina Advocates for Justice, 19 October 2011 (Available on demand through NCAJ website).